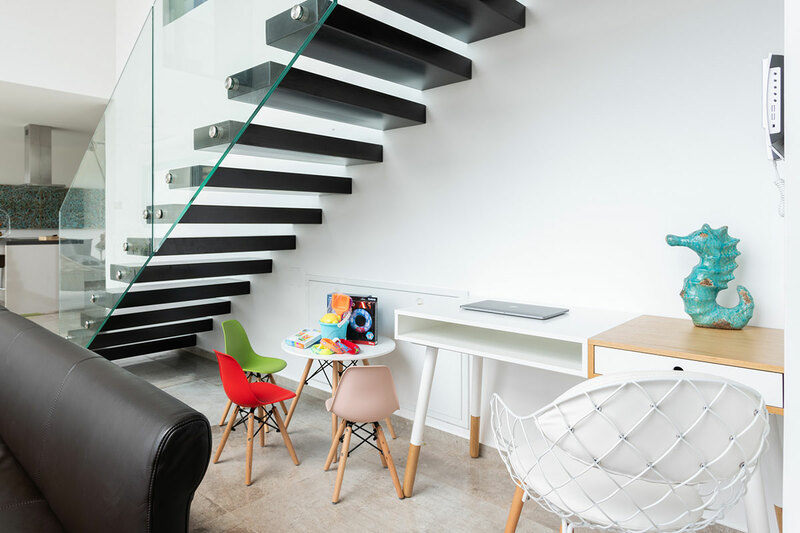 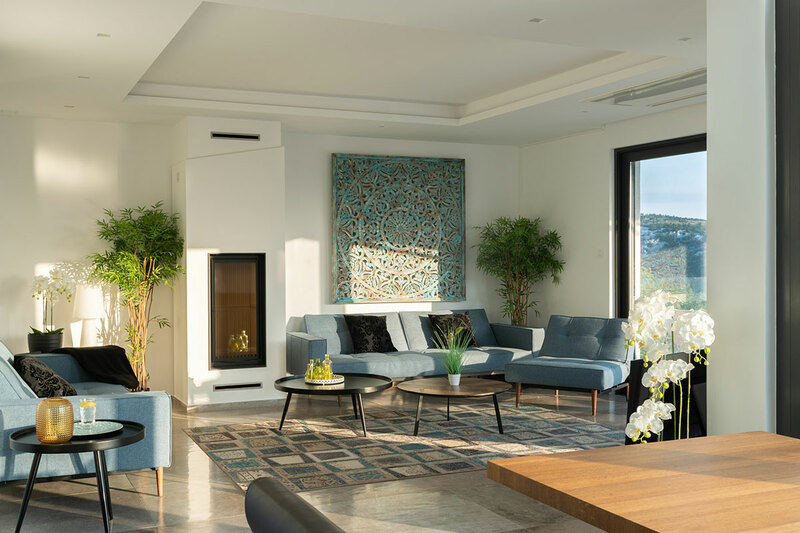 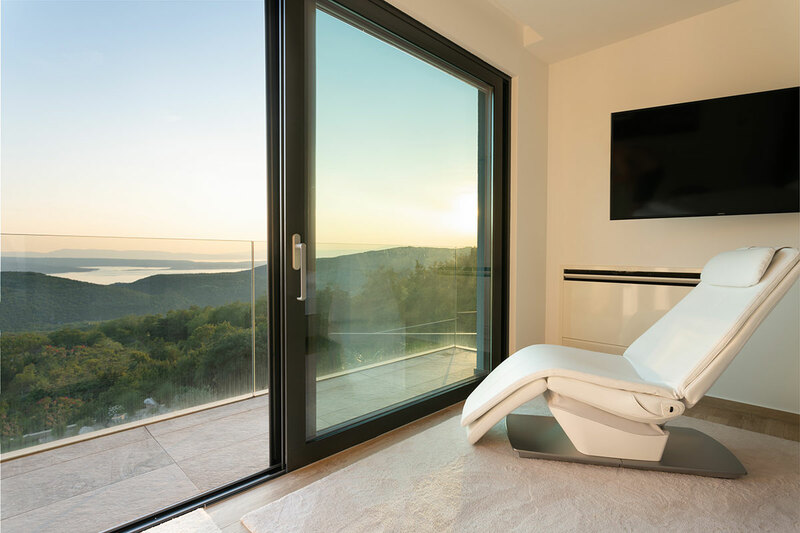 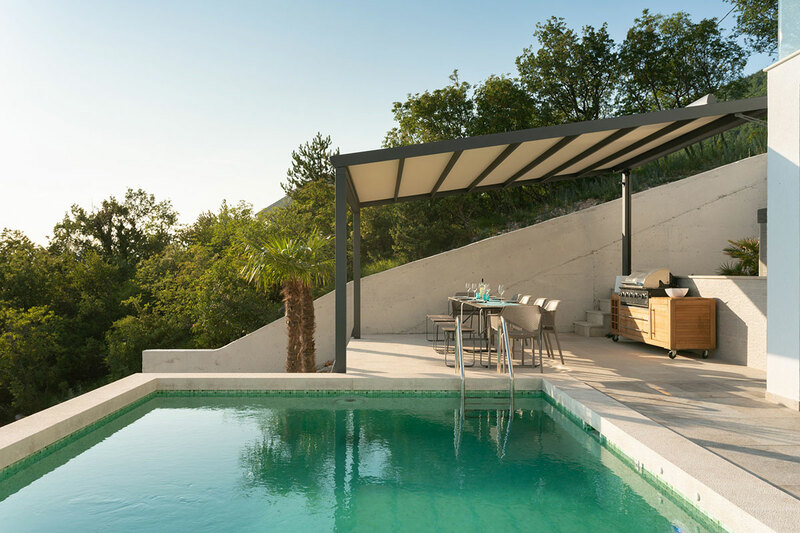 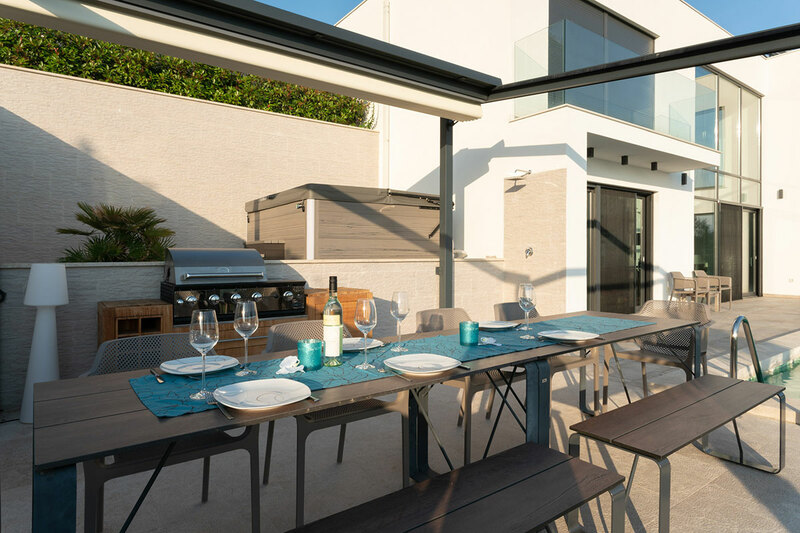 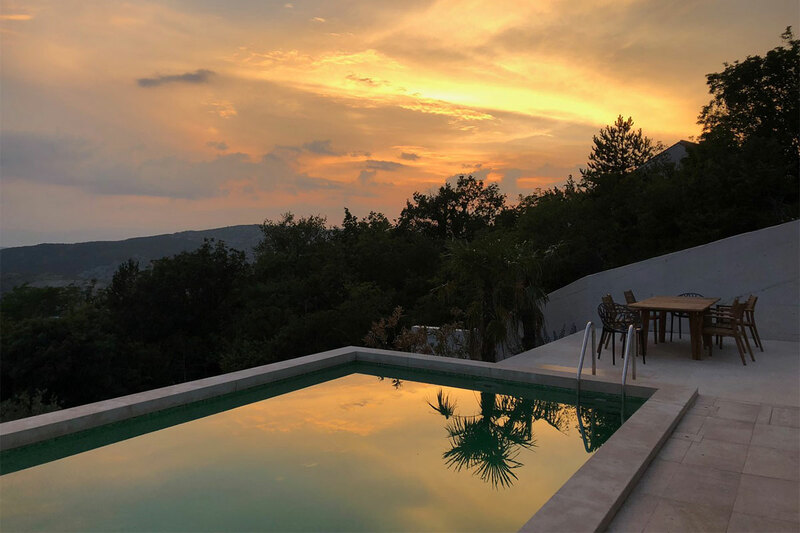 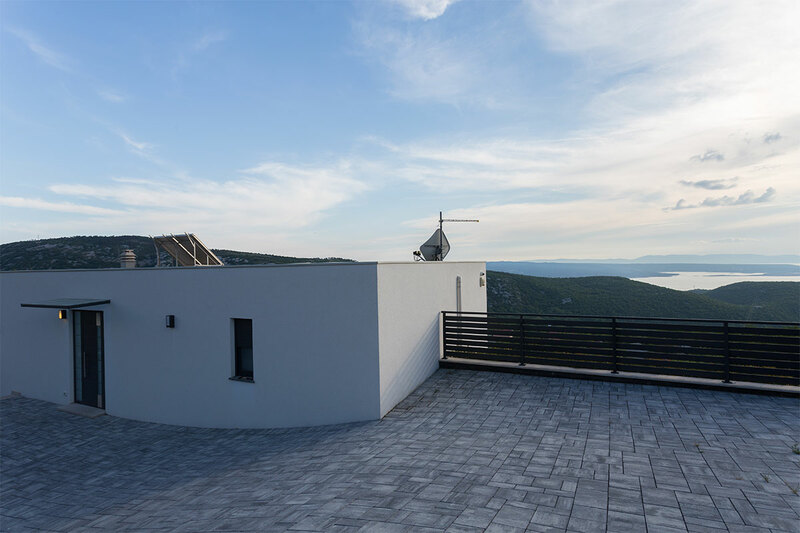 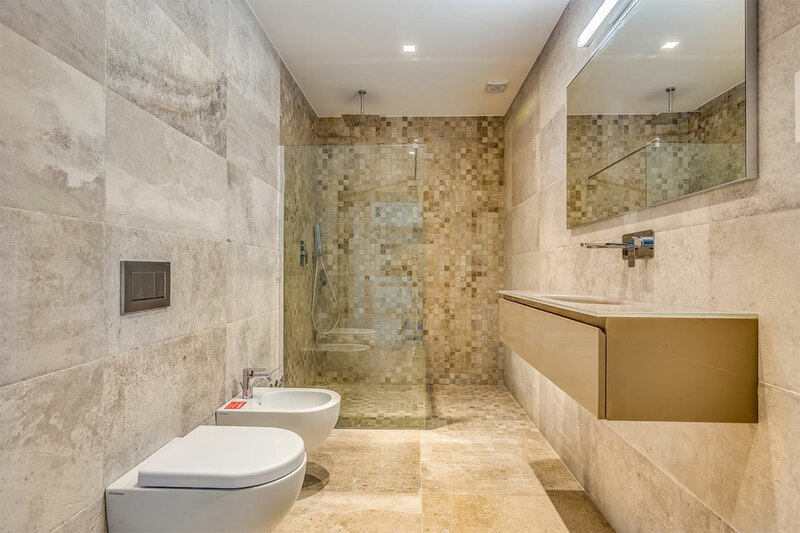 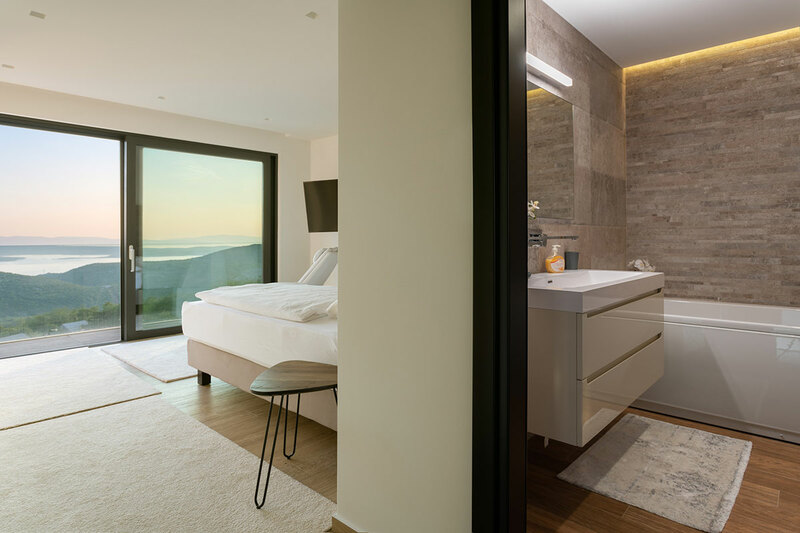 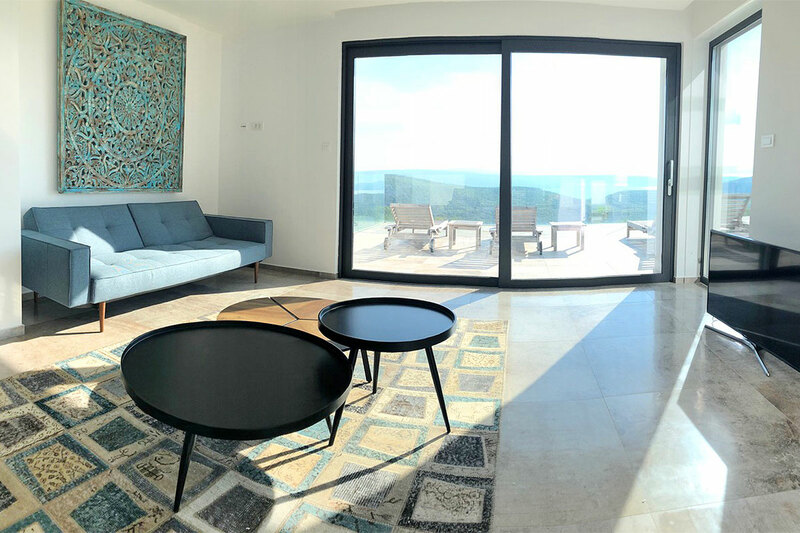 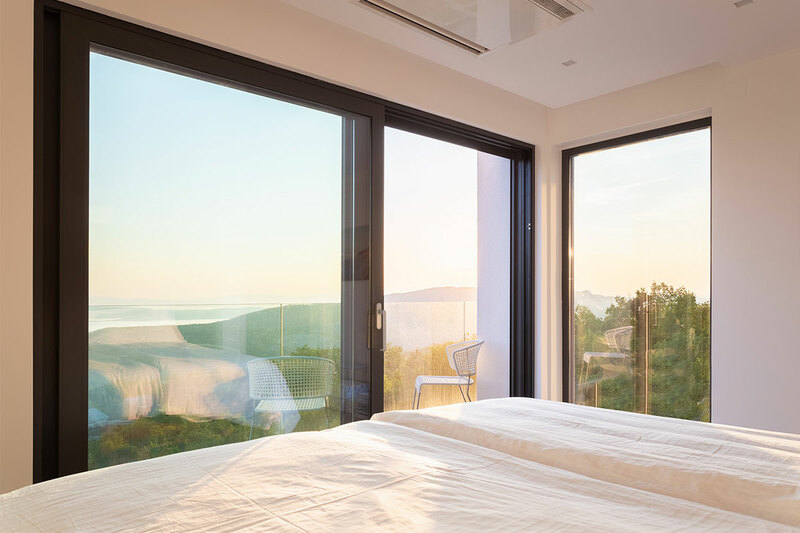 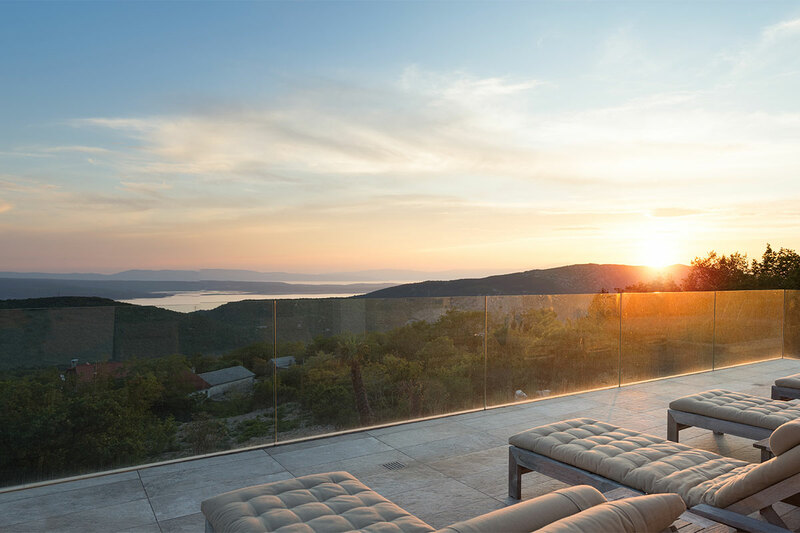 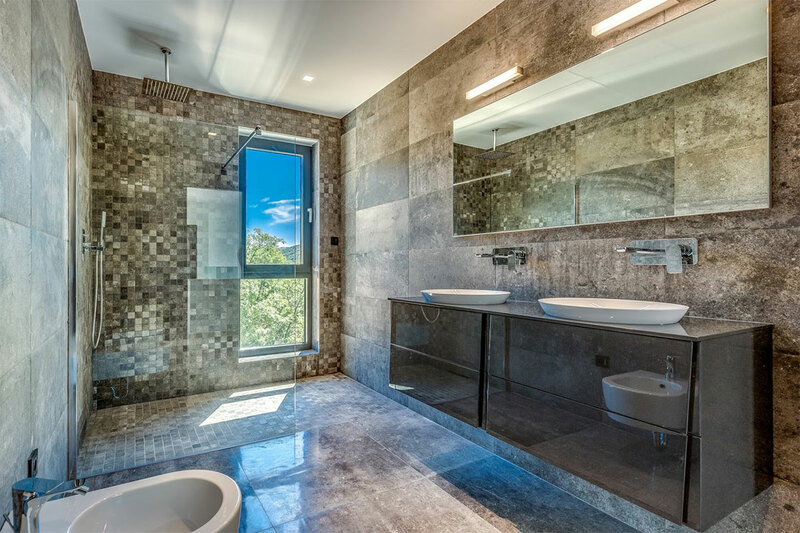 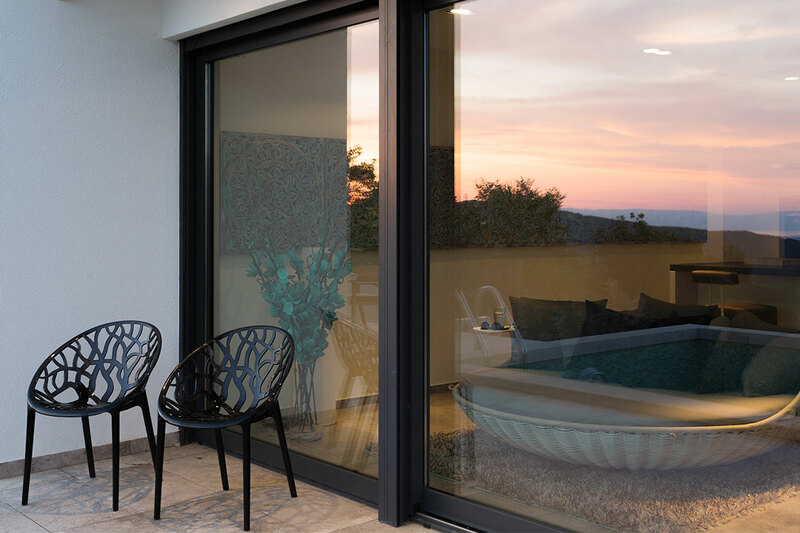 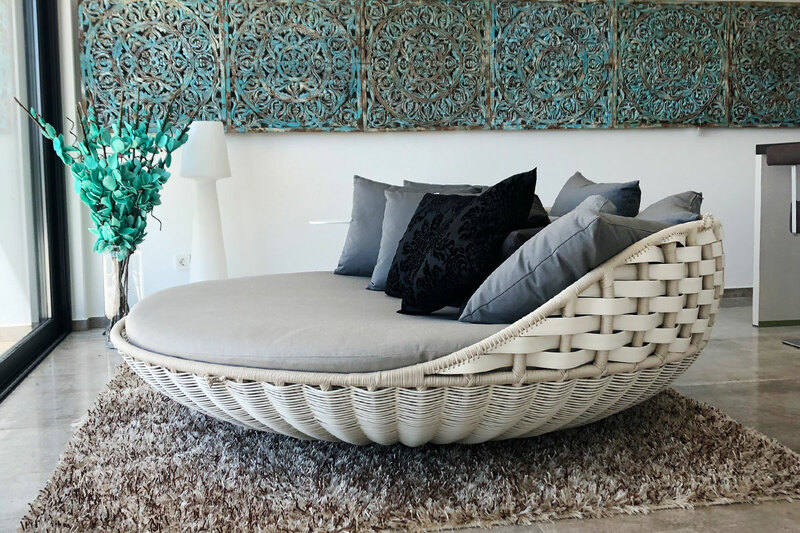 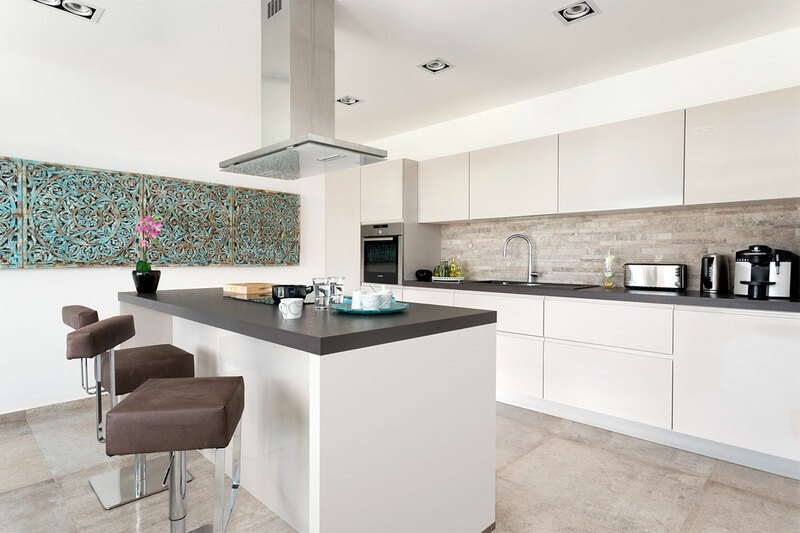 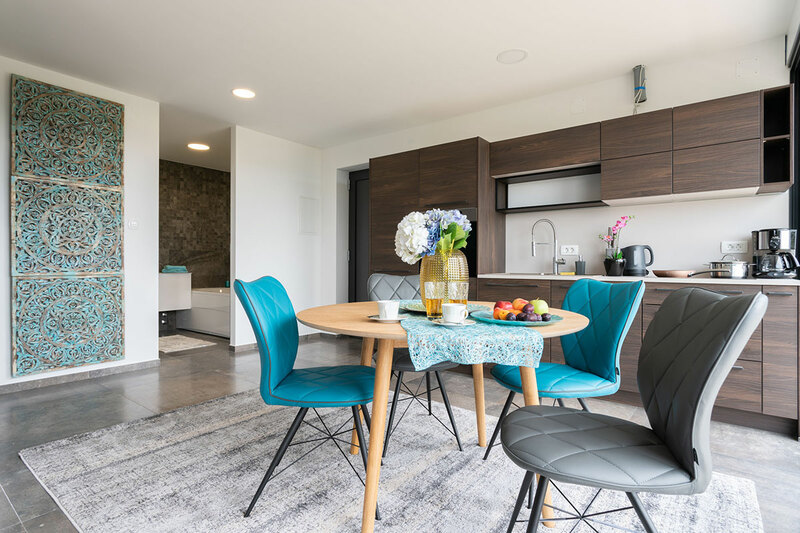 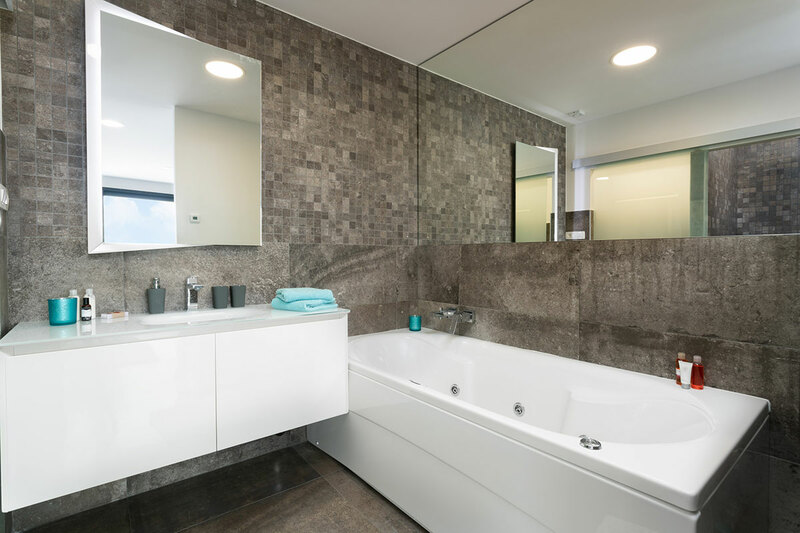 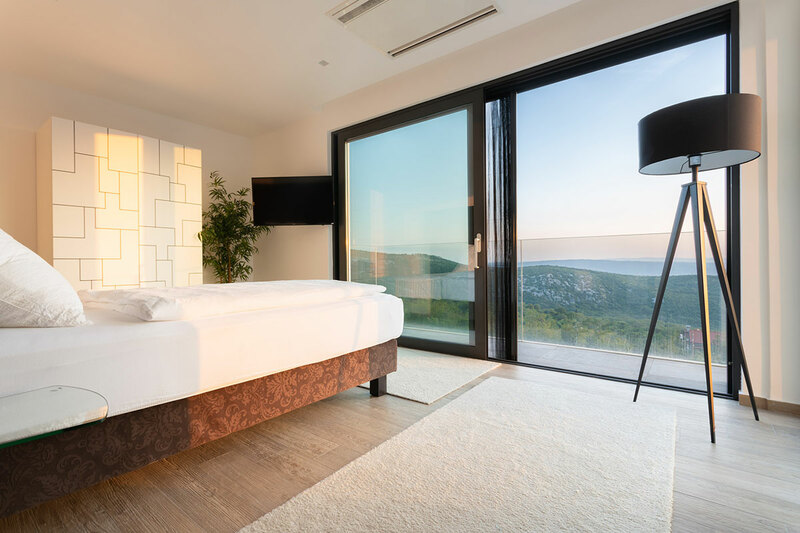 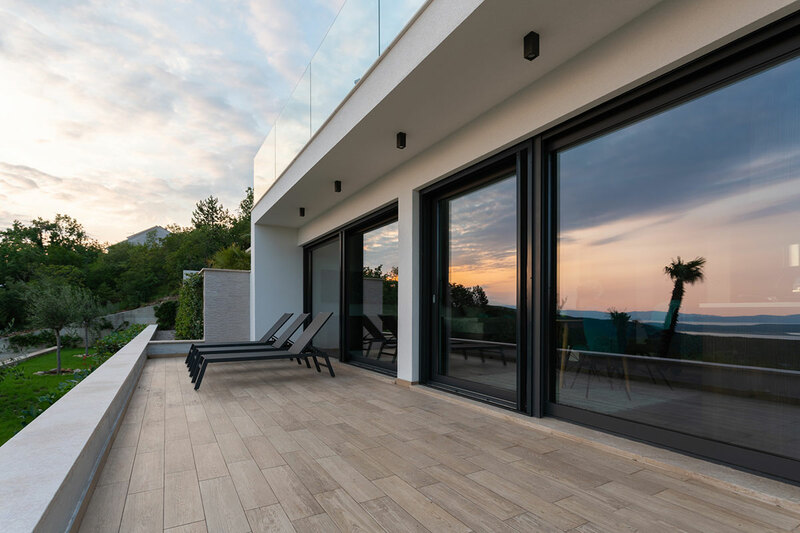 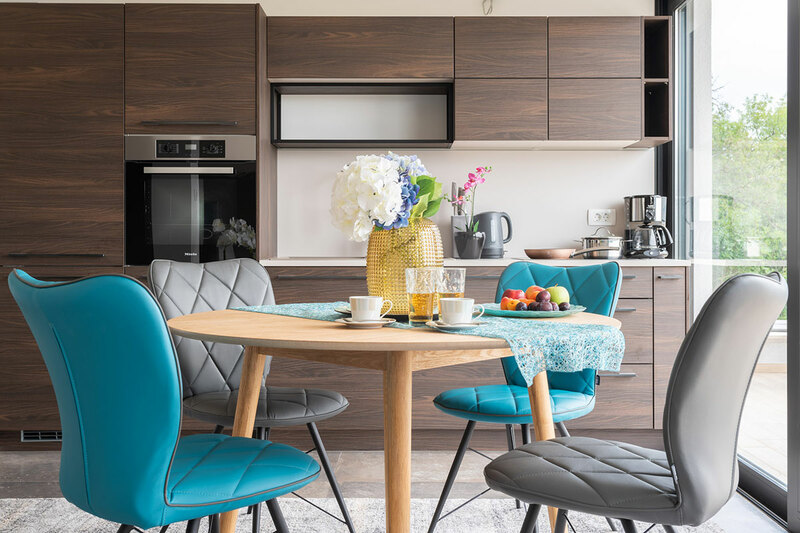 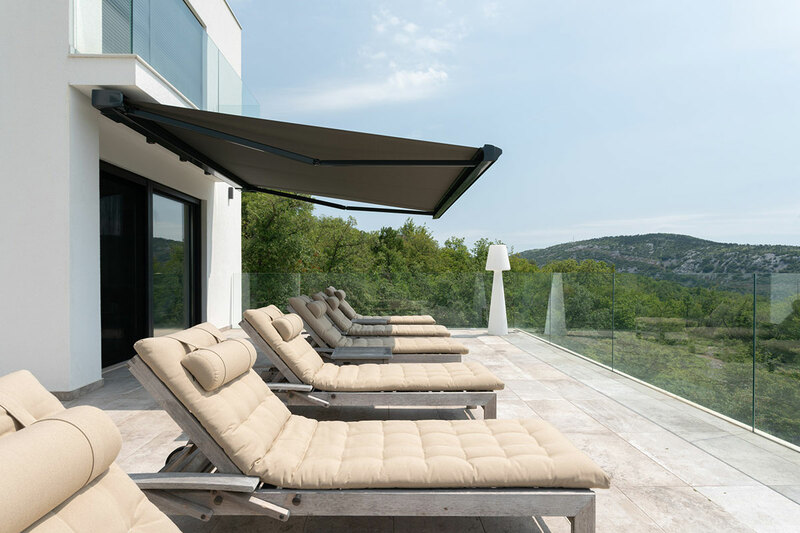 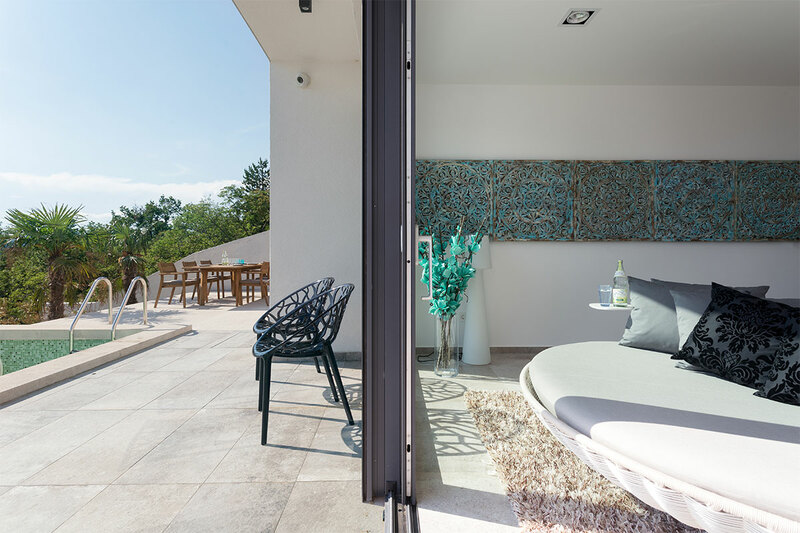 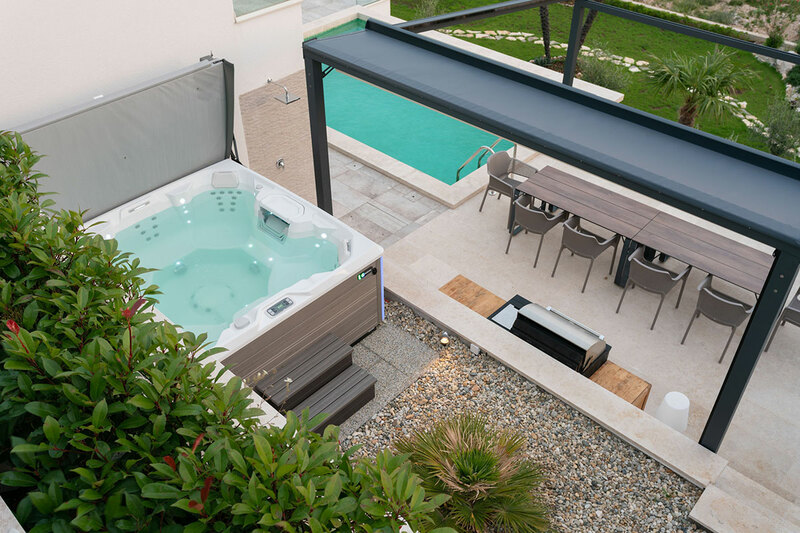 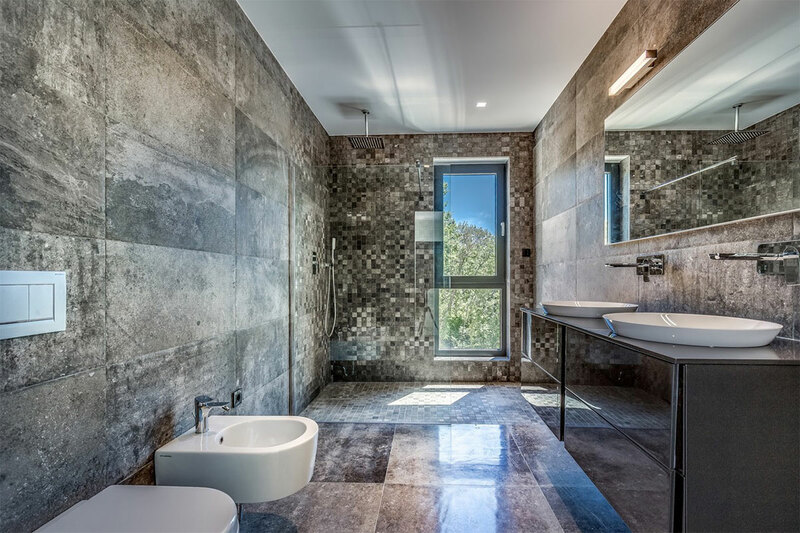 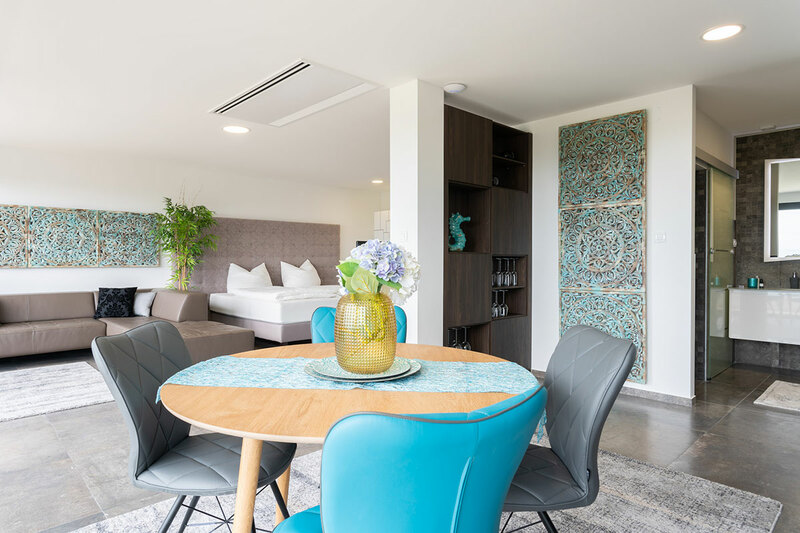 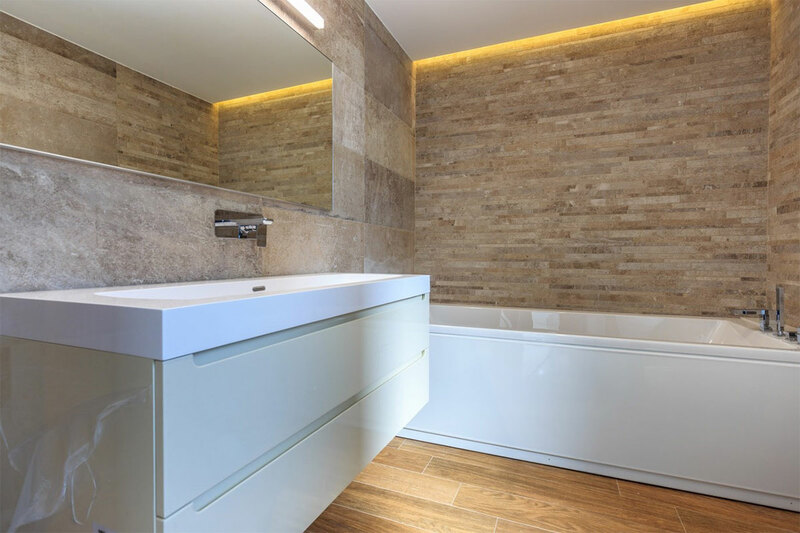 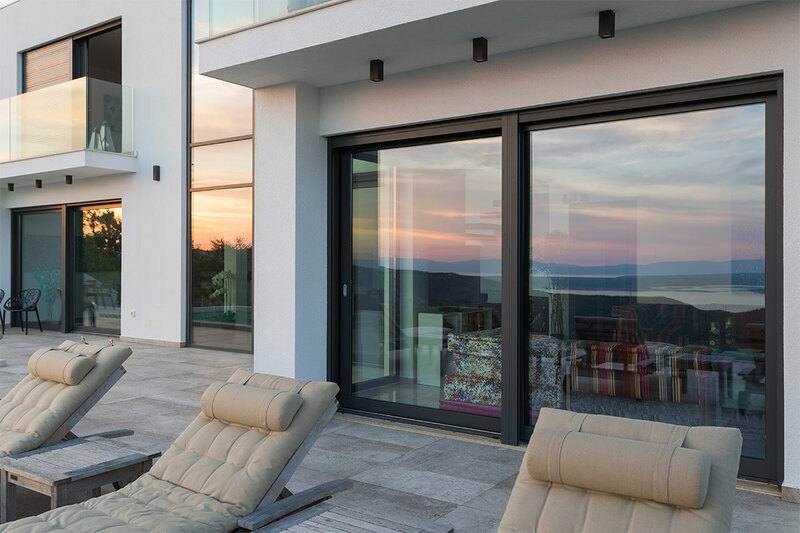 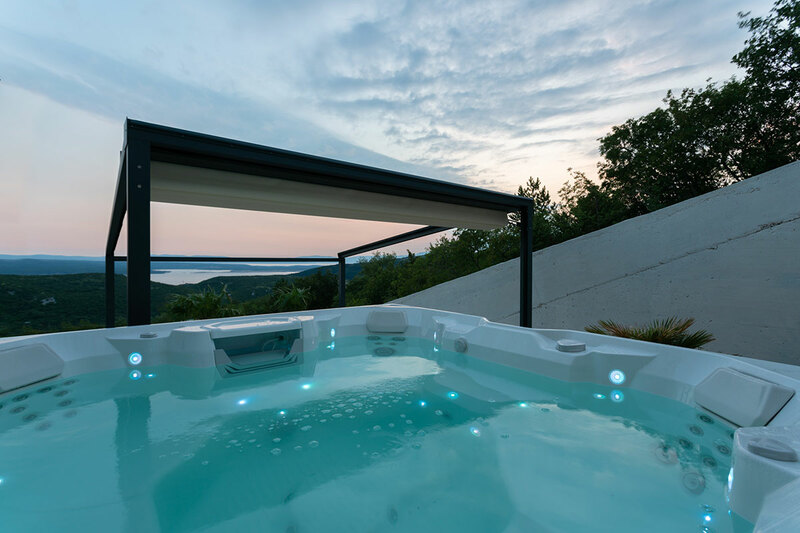 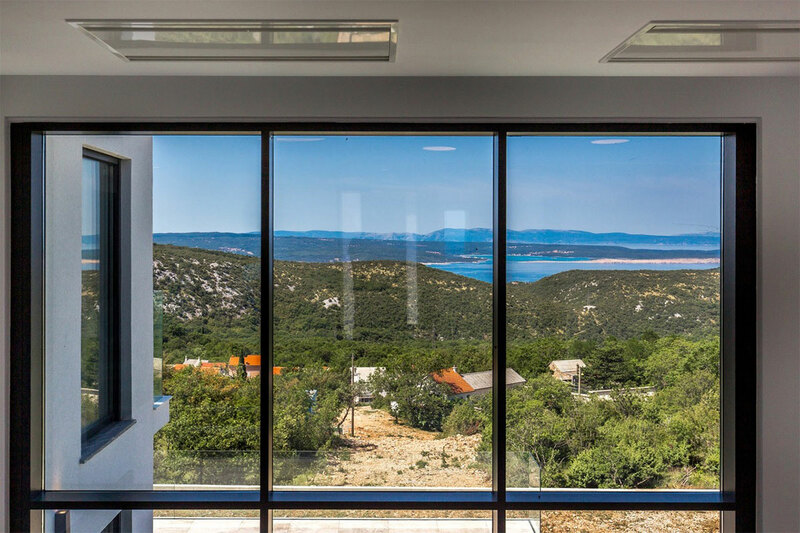 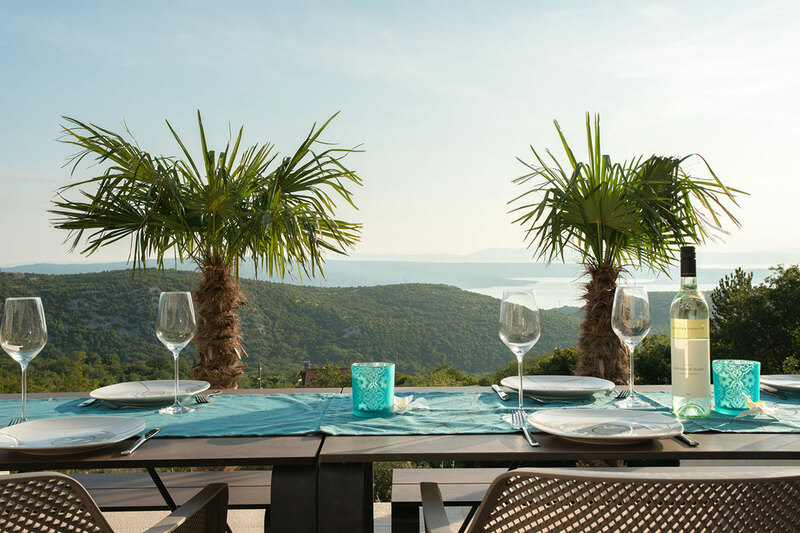 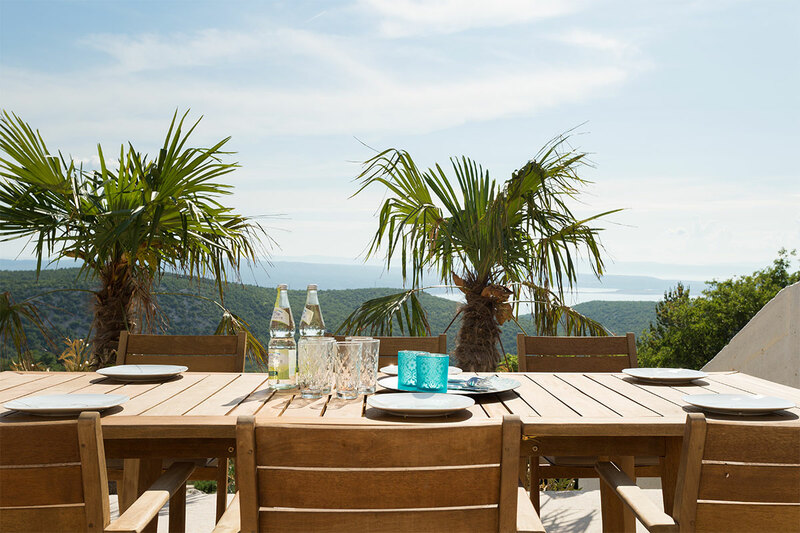 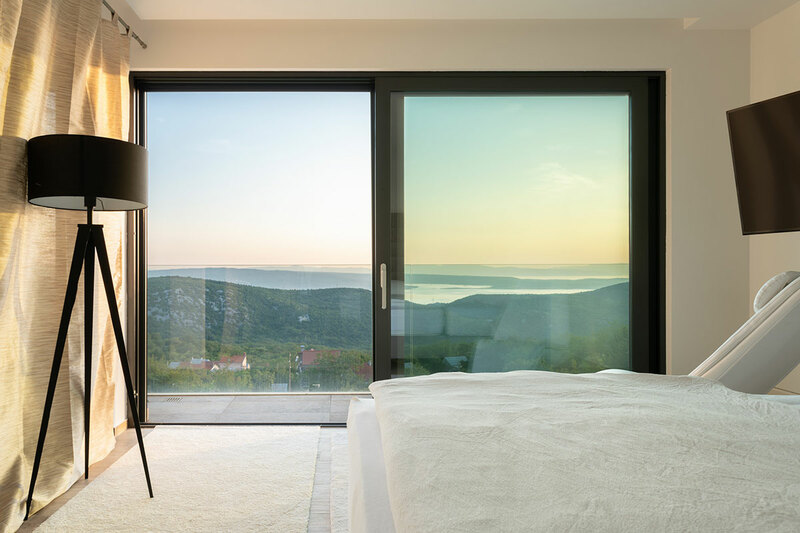 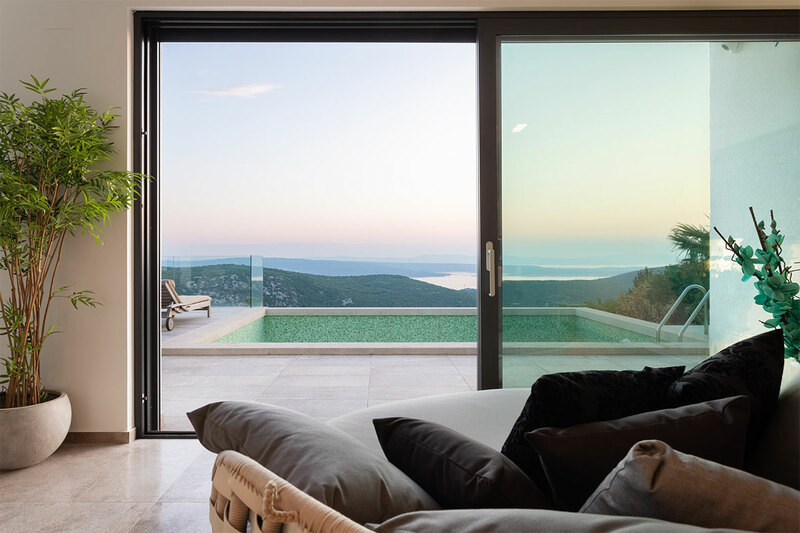 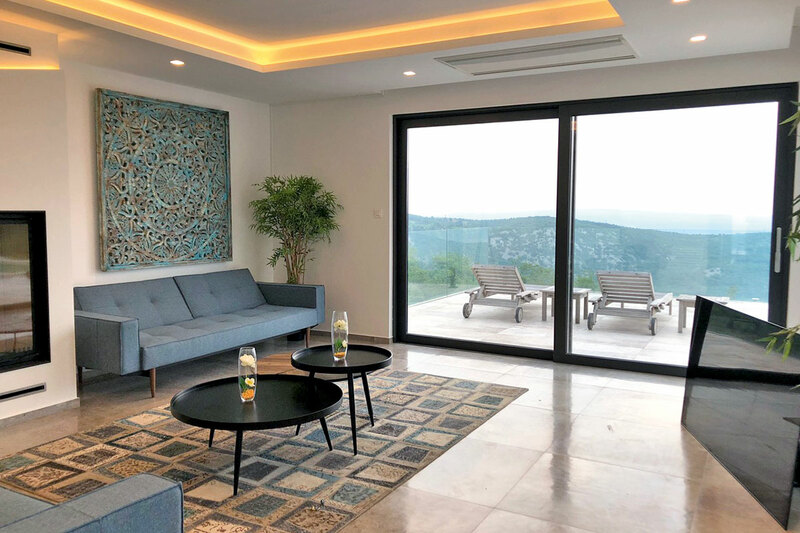 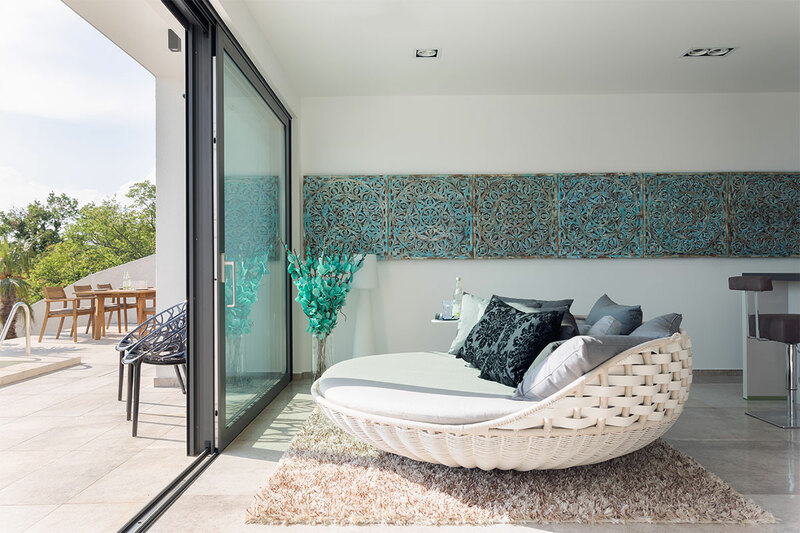 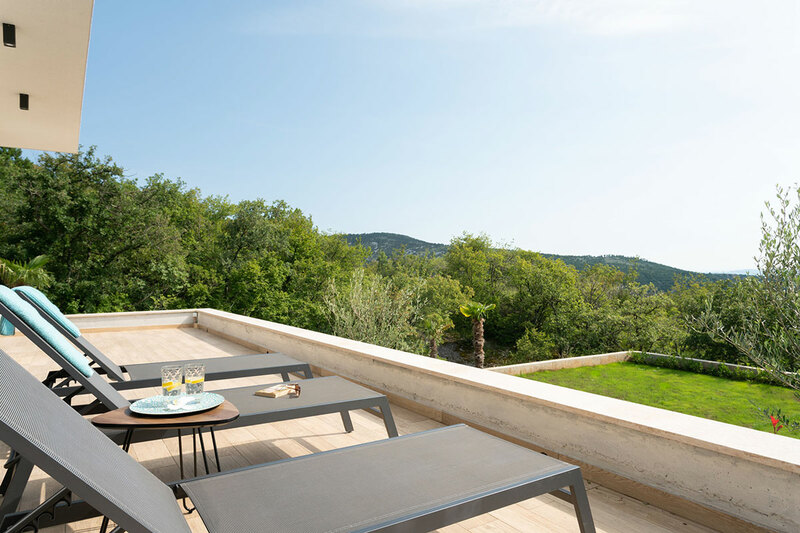 Pure holiday enjoyment filled with luxury and comfort – Spend your dream vacation at our newly constructed Design Holiday Home in Croatia, close to Crikvenica. 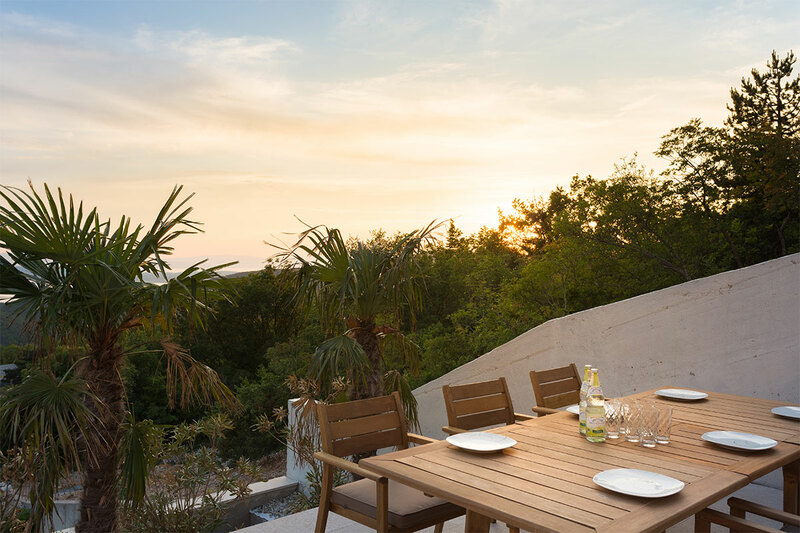 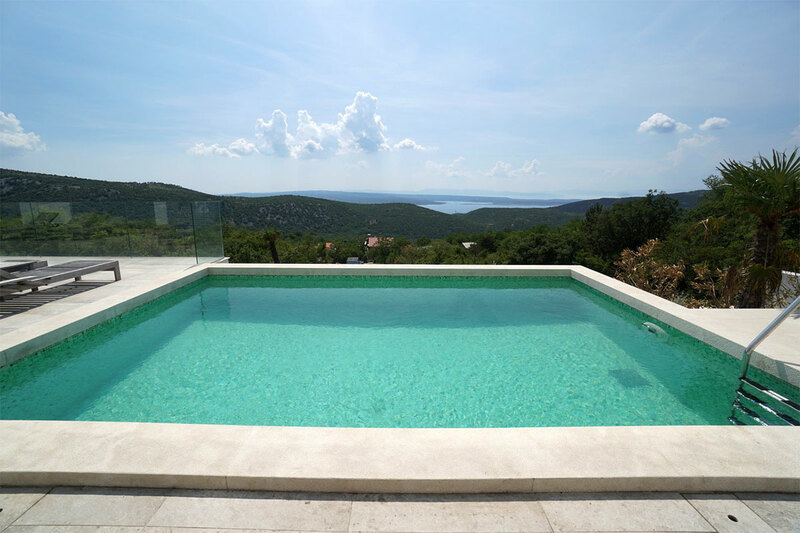 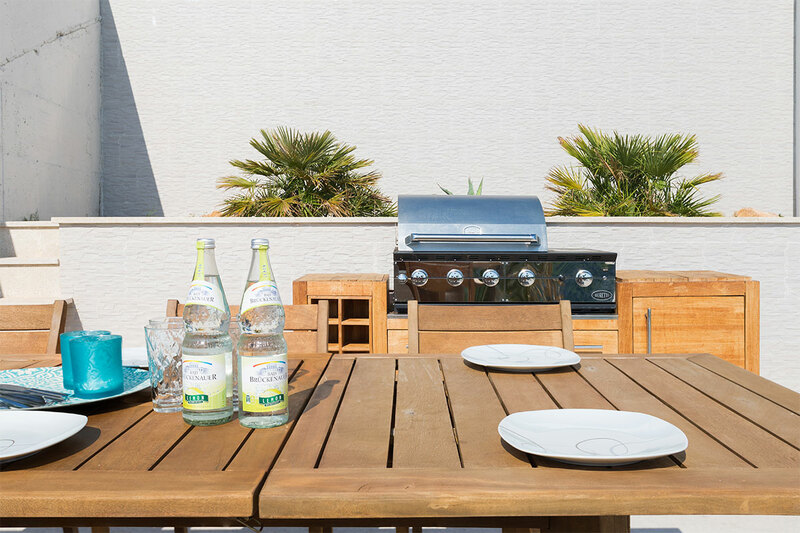 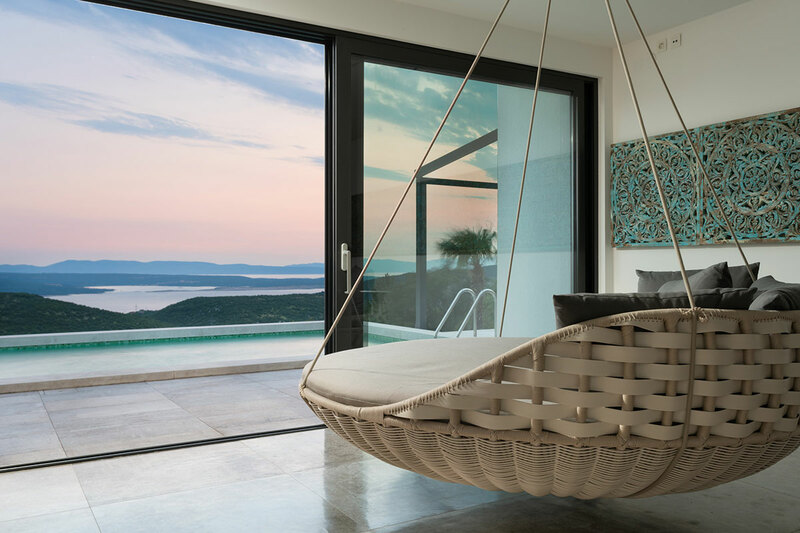 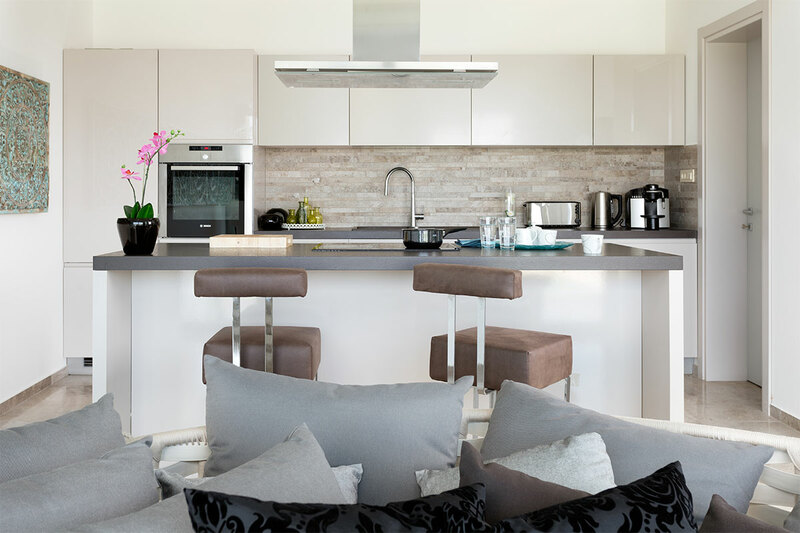 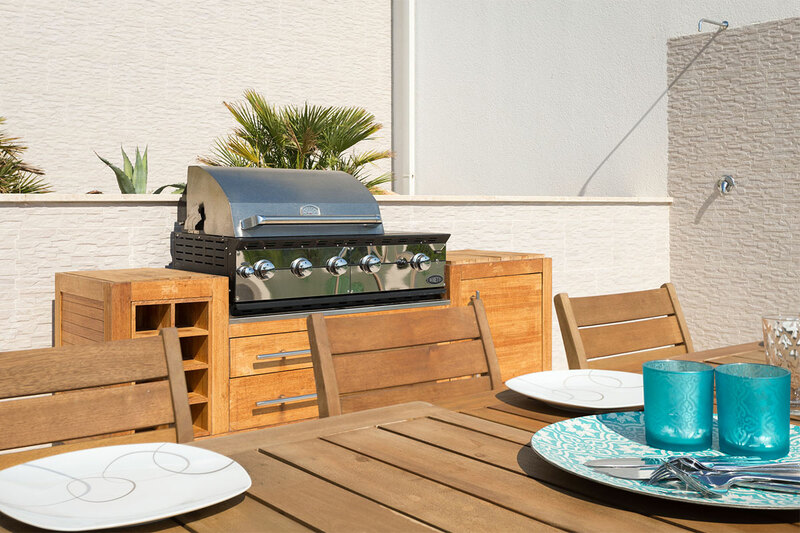 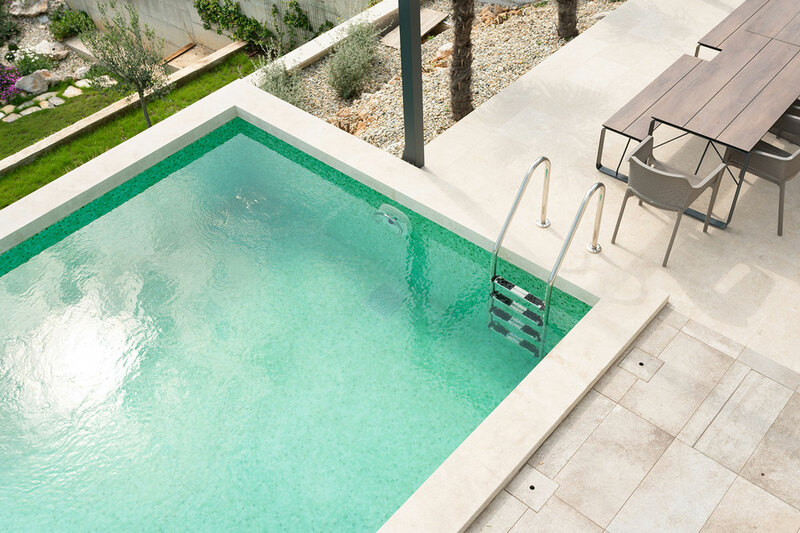 Here, you will be living in a peaceful setting with glorious panoramic views of the sea as well as the island of Krk. 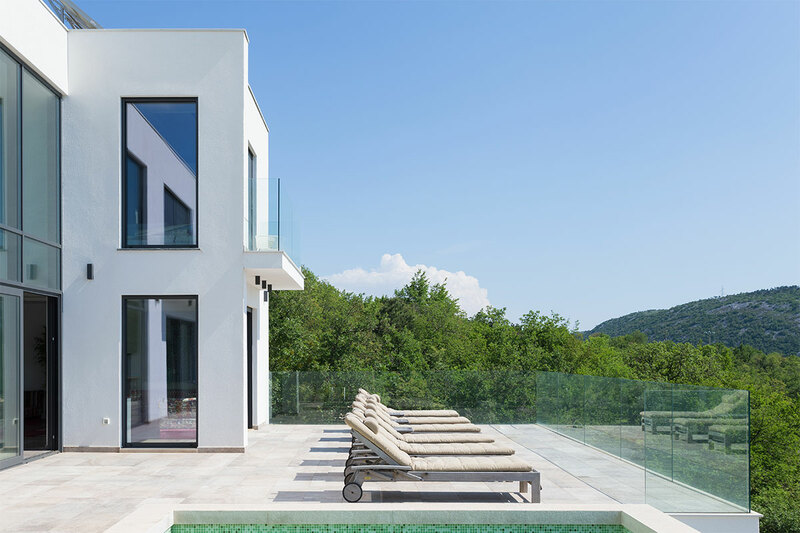 The sunny terrace with outdoor pool is undoubtedly just one of the many highlights of this designer holiday home Mountain Villa Kvarner Bay. 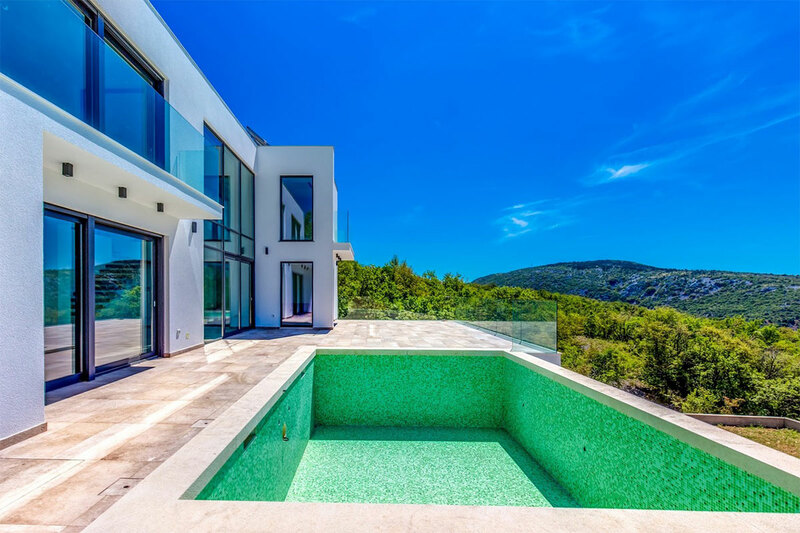 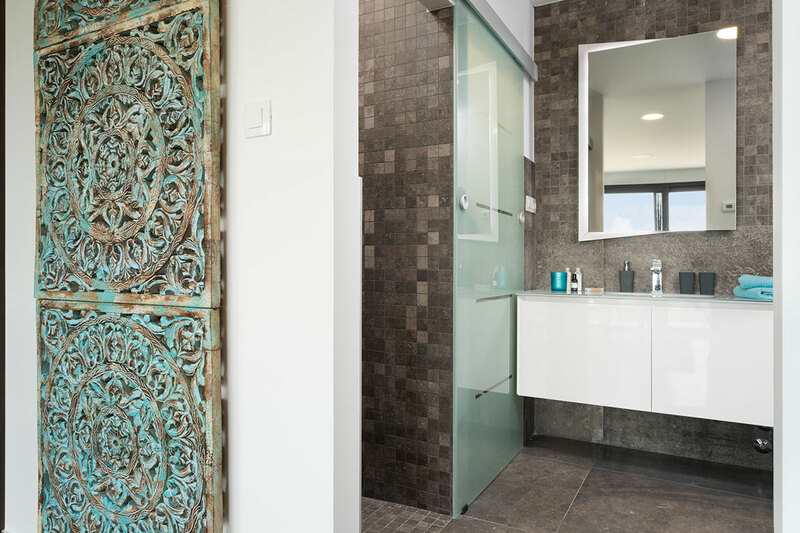 The exceptional decor and successful interior design make this villa an absolute gem. 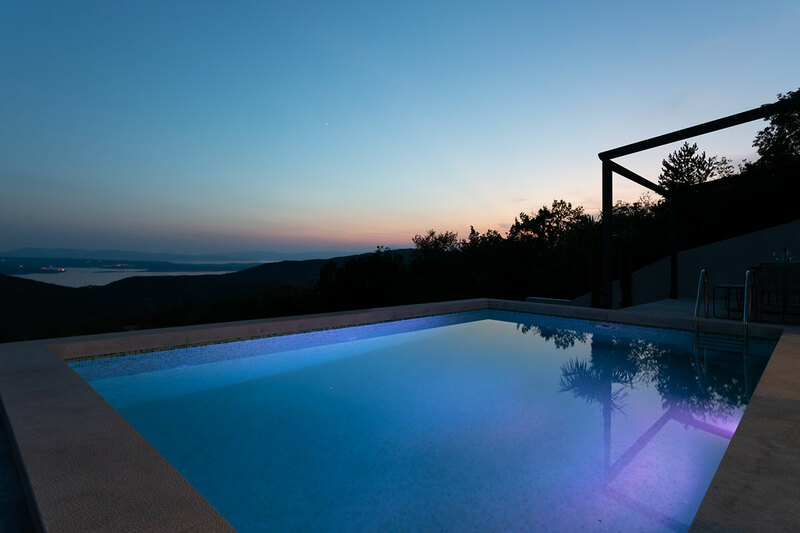 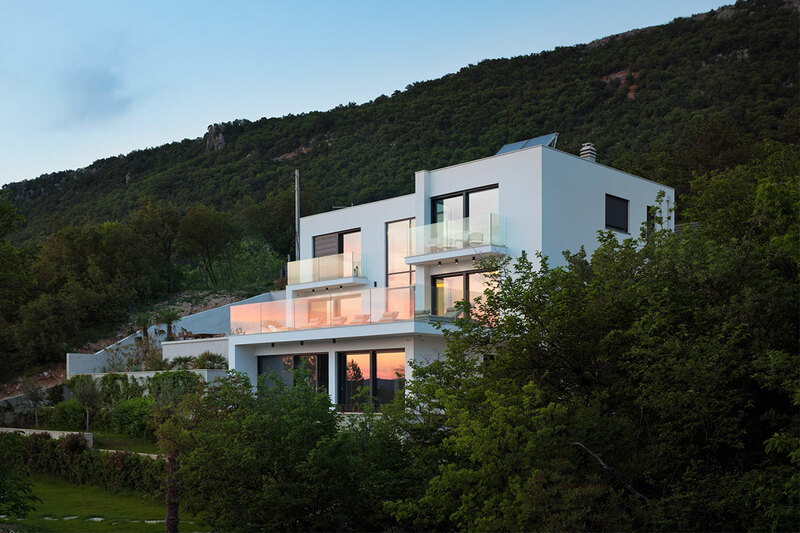 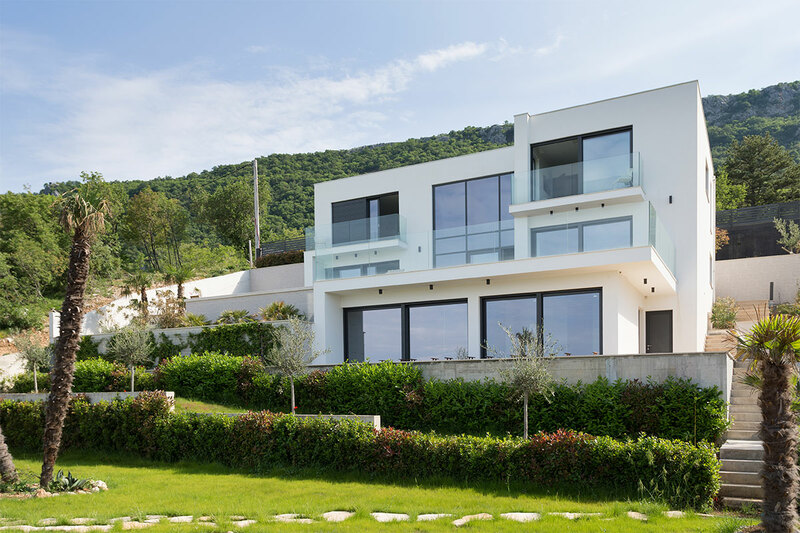 If you appreciate something truly special, our Design Holiday Home Mountain Villa Kvarner Bay will be ideal for you. 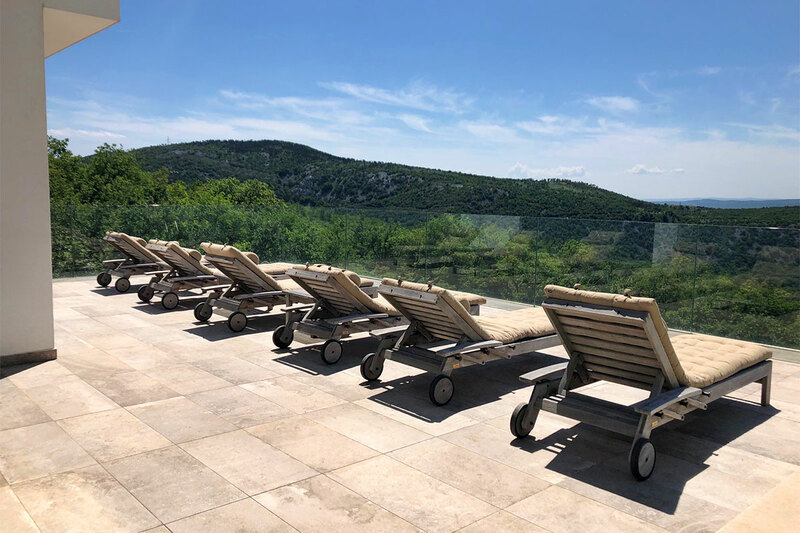 Nestled peacefully amid the gentle hillsides of the Croatian mainland, here you will be able to enjoy that pure holiday feeling. 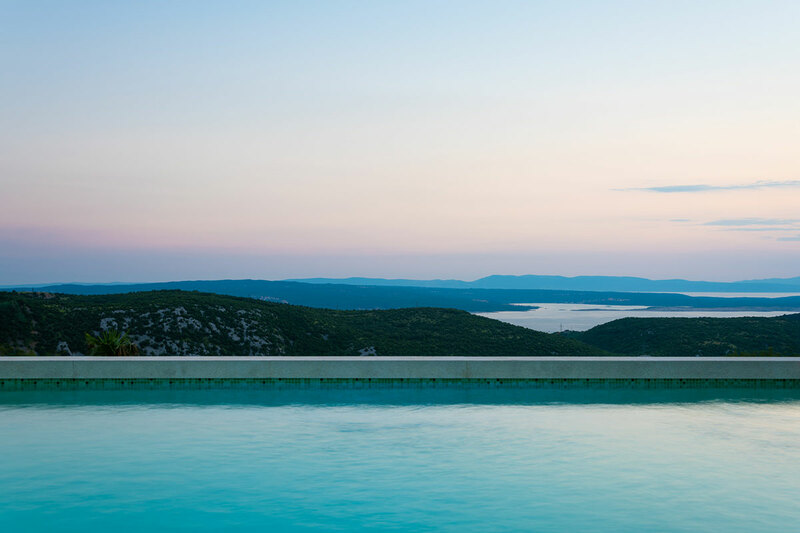 The magical view of the sea as well as the island of Krk will be your constant companions. 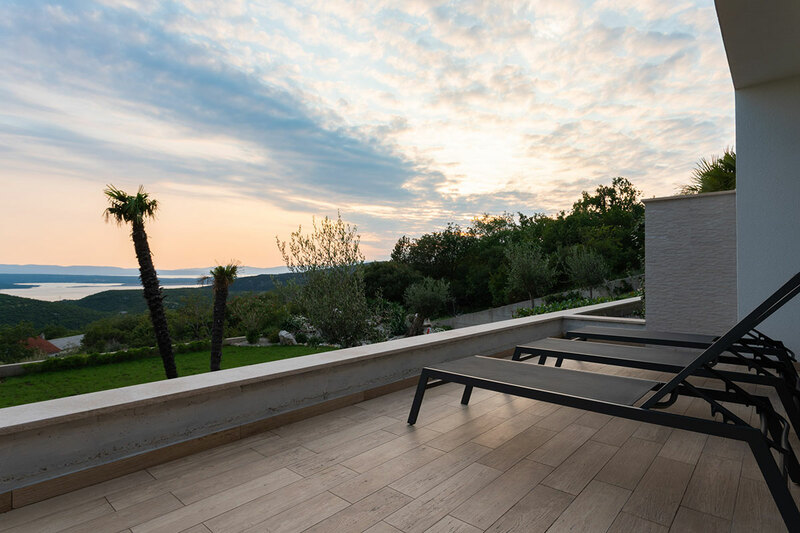 You are just 6 km from the beach, while the towns of Crikvenica, Novi Vinodolski, Rijeka and Opatija all lie close by. 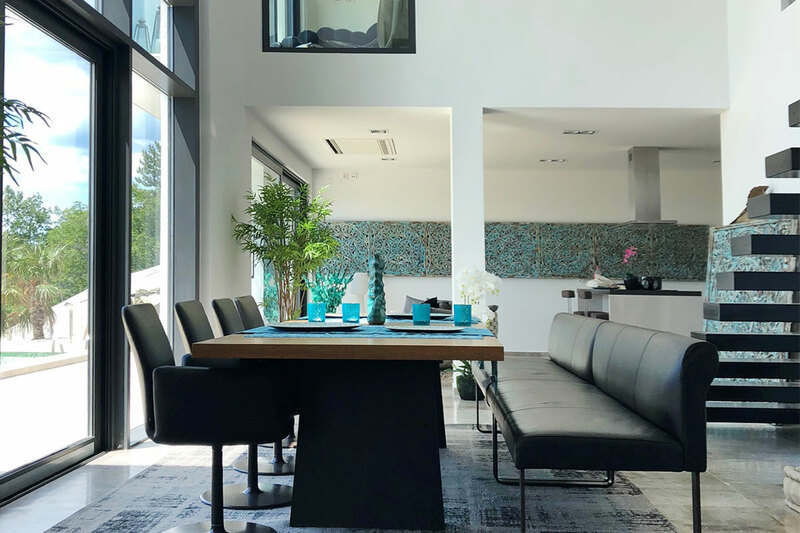 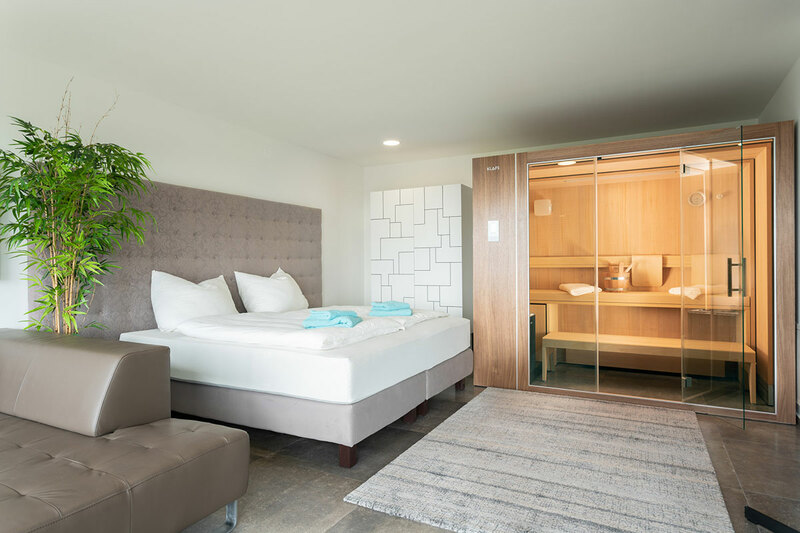 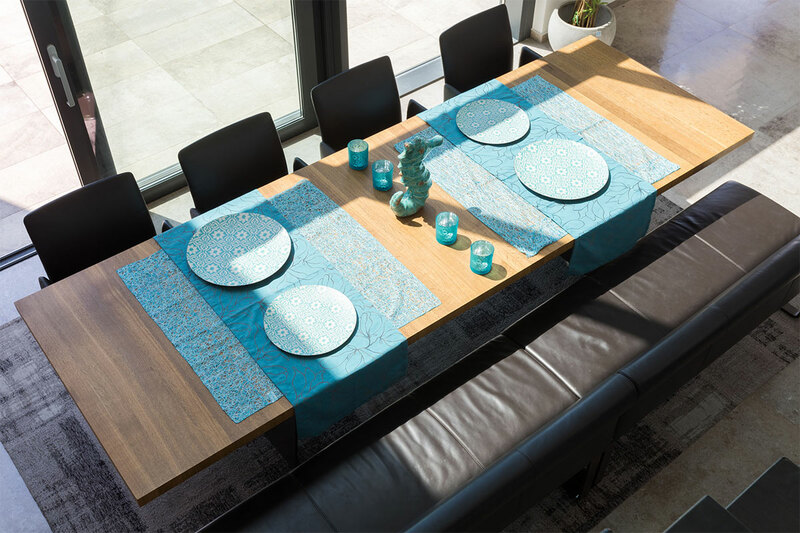 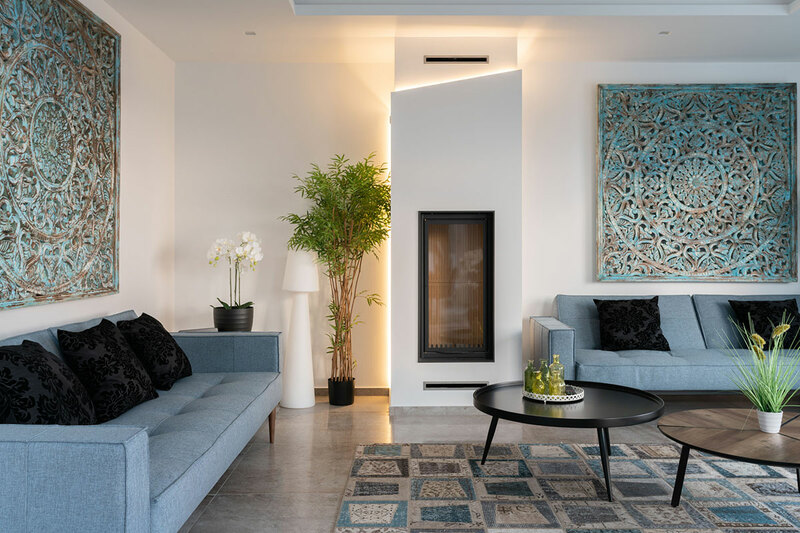 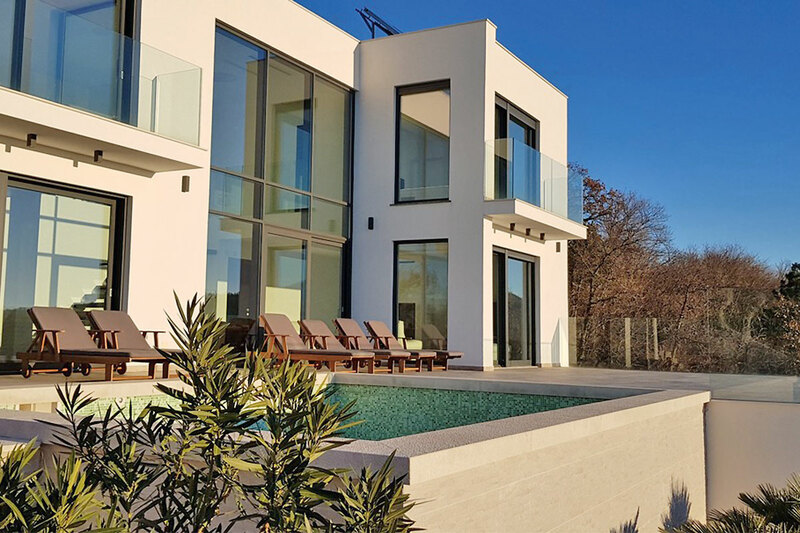 For your journey to this villa in Grižane, we recommend coming by car or plane: You are about a 4 ½ hour drive from Salzburg, 5 ½ hours from Munich. 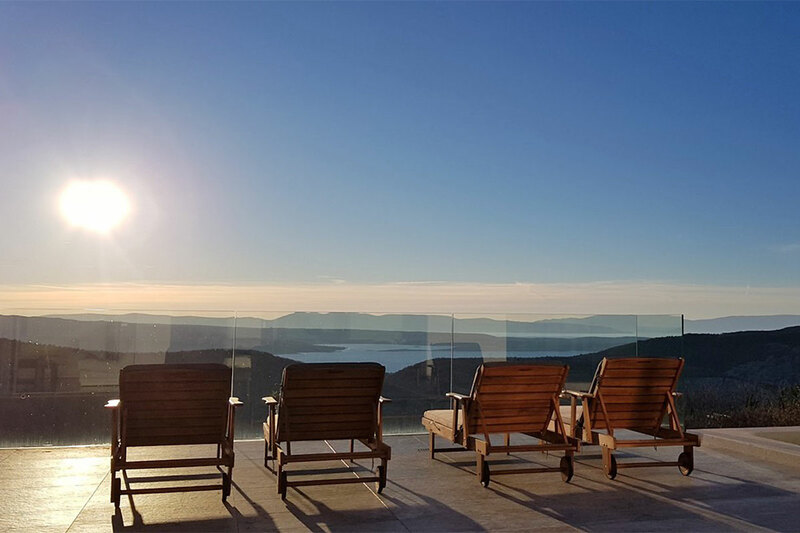 The nearest airport is Rijeka on the island of Krk (about 30 minutes away).